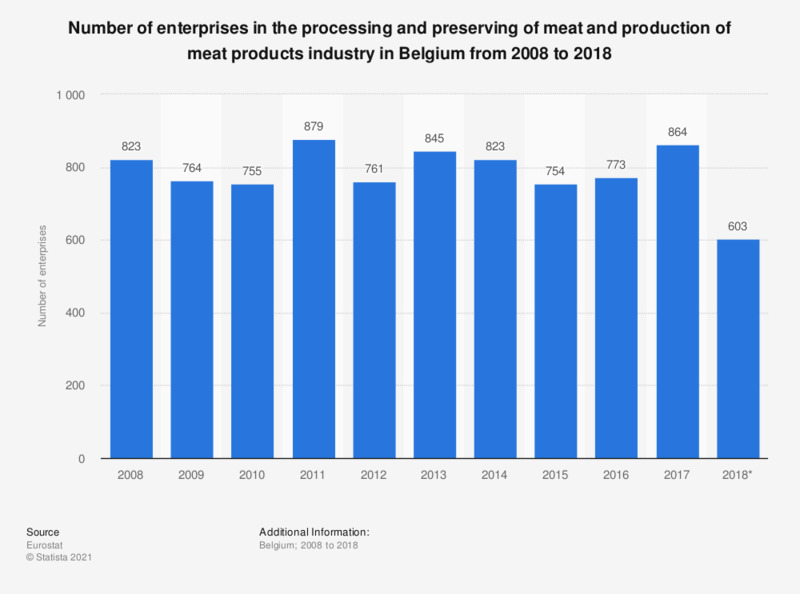 This statistic displays the number of enterprises in the processing and preserving of meat and production of meat products in Belgium from 2008 to 2015. In 2014, there were 823 enterprises in the processing and preserving of meat and meat products in Belgium. Data coverage corresponds to code C101 of NACE Rev. 2.